LUXURY STATION PH is passionate and expert over 15 years in the sale, trade and collection of luxury bags and merchandise has given us the fundamental knowledge needed to confirm the authenticity of the items we process. We use Entrupy's technology for product authentication. 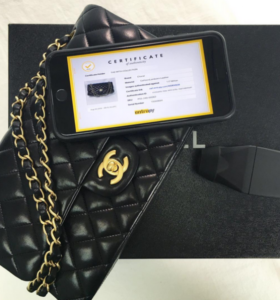 Entrupy’s artificial intelligence device is used to scientifically authenticate Louis Vuitton, Hermes and Chanel handbags. All other items are authenticated using the experience of in-house staff and outside authenticity experts. We authenticate every item before listing it for sale. We guarantee authenticity or will provide a full refund. Consign your designer bags and we'll sell it for you. Shop with confidence. We only sell authentic designer bags brand new or used. We'd love to hear from you! Text or Call 0998.991.5456 or fill up the form below and we'll get back to you. Thank you! Address: 29 Scout Bayoran St. Corner Tomas Morato, Q.C. Copyright LuxuryStationPH.com 2018. All rights reserved.